Mr. Behgjet Pacolli is a politician and entrepreneur from Kosovo, who has served as the third president of the Republic of Kosovo, and, from 2017 onwards, has served as Deputy Prime Minister and Minister of Foreign Affairs. Also, Mr. Pacolli was the First Deputy Prime Minister of the Republic of Kosovo in the period between 2011 and 2014. He is a signatory of the Independence of the Republic of Kosovo on 17.02.2008. Mr Pacolli is a graduate of the Hamburg Institute of Foreign Technology, Germany. Additionally, he completed a masters degree in marketing and management at the Mösinger Zurich Institute. 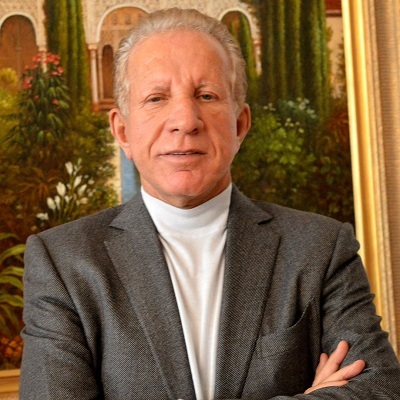 Mr. Behgjet Pacolli speaks several foreign languages, including: English, French, German, Italian, Russian, Spanish, Serbo-Croat.